AnshuBlog: The Stack Fallacy : The Missing  Watch Billionaires: The Platform Test? The Missing  Watch Billionaires: The Platform Test? Every new platform enables a new breed of entrepreneurs to change the world and become billionaires in the process. The iPhone (and the smartphones that followed) produced the Uber billionaires, the WhatsApp billionaires, the Snapchat billionaires and so forth. If Apple watch is to be successful, it must not just sell a lot of watches - it must enable developers to dream up entirely new forms of applications that enrich our lives and solve problems that we didn’t even particularly know we had. Think Uber - there were no Wall Street Journal editorials on the challenges of hailing cabs. Ditto for hotel rooms and AirBnB. The amazing thing about great platforms is that even the builders of the platform don't know what amazing new apps will become reality. When we were building the Salesforce platform, we were always amazed by the ingenuity of our developers and startups who built things we thought were impossible. The ecosystem humbles you and makes you successful. What could the watch enable? An Apple Watch could enable founders and dreamers to rethink some apps - and succeed with this new form factor where most others have failed in the past. Kill the Password: The watch is the ultimate personal second or third factor in Authentication. Passwords are a bane for our financial and communications security. Make us Healthy: While I loved my Fitbit, and even Philips DirectLife (now discontinued), I kept forgetting them and losing them. Entrepreneurs who use the watch to deliver the right nudges to us - to take a walk, to eat healthier, to snooze better, to sit straighter - can help us live better and longer. Train a Dragon: Well, you may not actually train a dragon but the watch sensors could be used as an input device to play games. 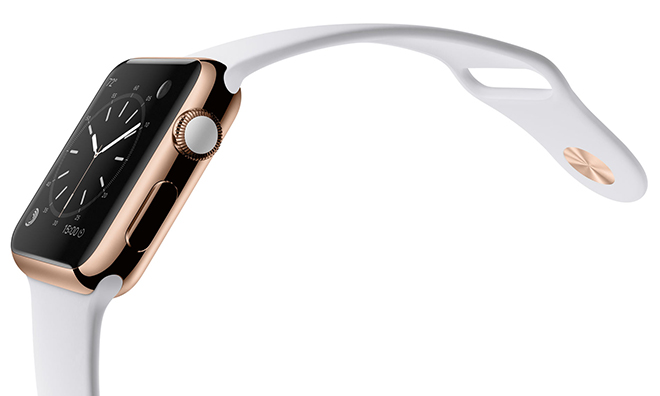 Just as an iPhone can be tilted, the Apple watch can enable new gestures to be used as input. Money: The obvious use case of using Apple Watch to make payments which Apple has already thought through - you can reimagine all kinds of processes from how you order at a restaurant to how you get notified when food is ready. In a few years, we will look back and if Apple Watch was more than a blip it would have changed our lives in meaningful ways - enabling and enriching a new set of entrepreneurs who add new verbs to our lives. I cant’ wait to find out what comes after Ubering? !